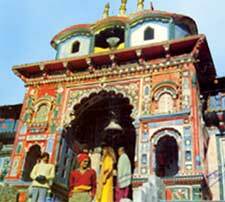 Badrinath, a citadel to Lord Vishnu, situated at a height of 3,155 m is the place where Vishnu, Ganga, Saraswathi and Alaknanda confluence. 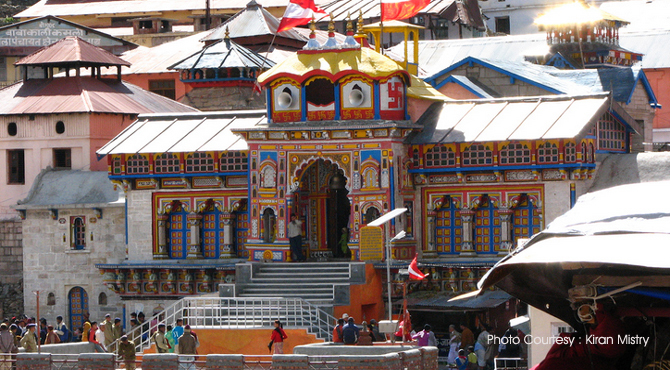 Build in early ninth century AD, Badrinath is one of the most revered Hindu shrines of India dedicated to Lord Vishnu. It is also one of the four Dhams restored by Adi Shankaracharya in an effort to unify the country, along with Kancheepuram in Tamil Nadu in the south, Dwarkapuri in the west and Jagannath Puri in the east (Sringeri mutt in Karnataka state is also claimed to be the fourth peetha).